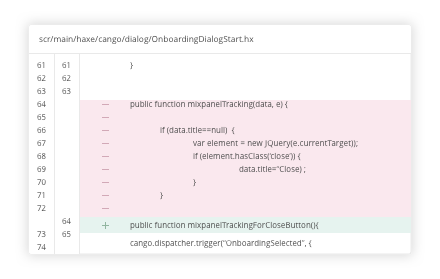 Keep track of code changes with Backlog—version control software that lets you organize, discuss, and track work all in one place. Backlog is fully integrated with Git and SVN so you can easily manage source code next to your projects. Make your code better. Discuss changes or new features with team members before officially integrating them in a project. See differences between files. 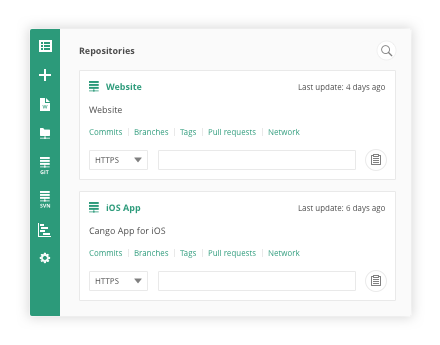 Compare changes between branches to get an overview of which changes will be merged. 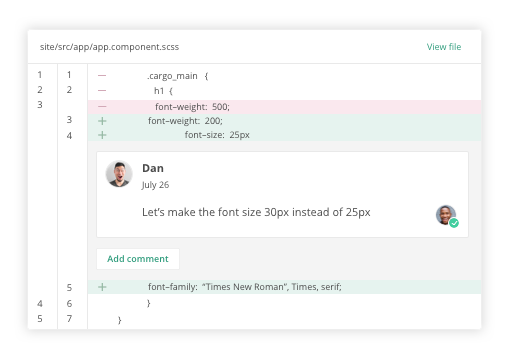 Have discussions inline with your code. Add comments to comparison files between two branches of a pull request. See what changes have taken place. 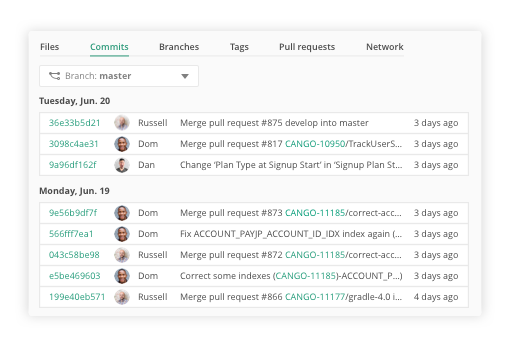 Get a full list of commits that have happened in your project to monitor changes. Bring version control to your documentation. 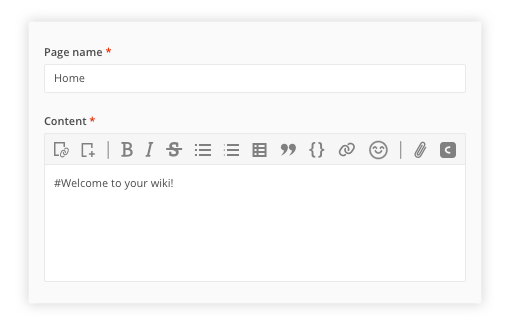 Have a record of all wiki changes to compare or restore previous versions at any time.